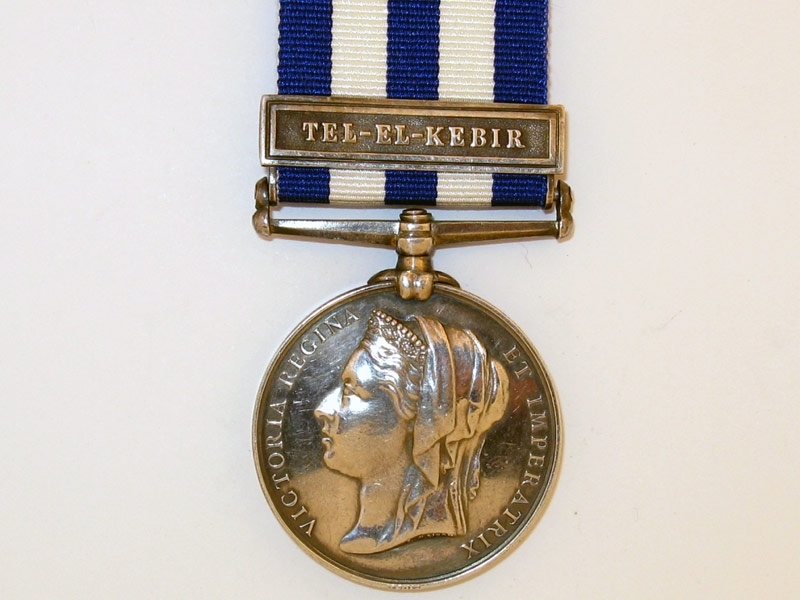 One clasp: Tel-El-Kebir, officially engraved (1738 Lce. Corp?l J. Hardy, 1/Gord?n Highr?s), good very fine. Private Joseph Hardy enlisted at Bishop Auckland Sub District, as a Private with the 1/Gordon Highlanders, onSeptember 10 1879. 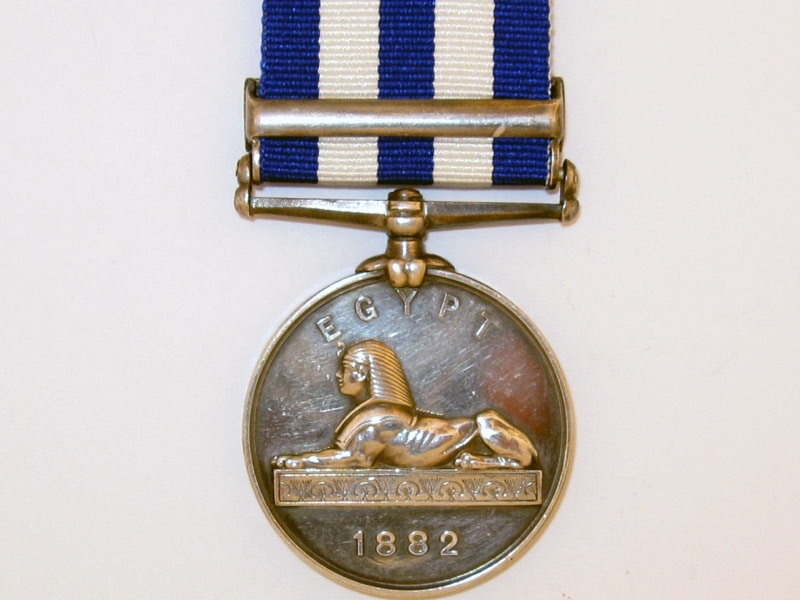 He died at Cairo on 28 October 1882. 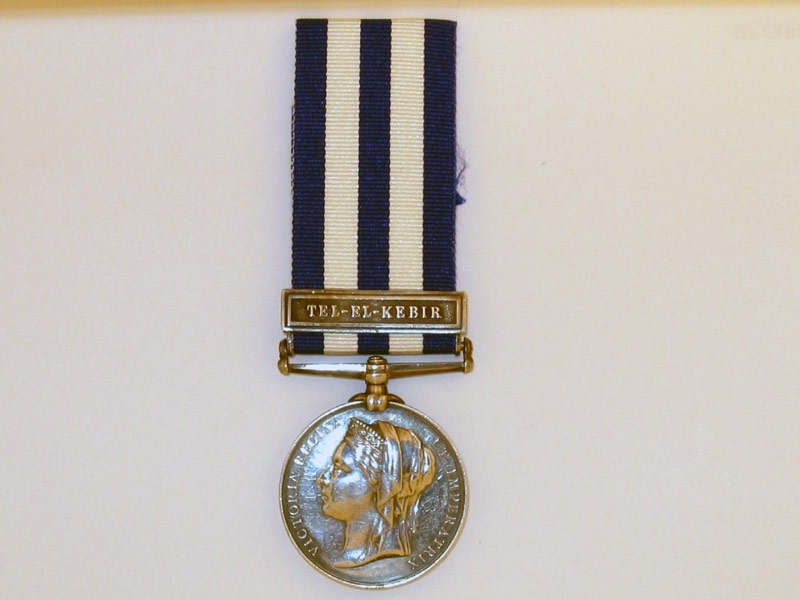 Sold with copies of service records.